Vienna, as seen over the Danube River. 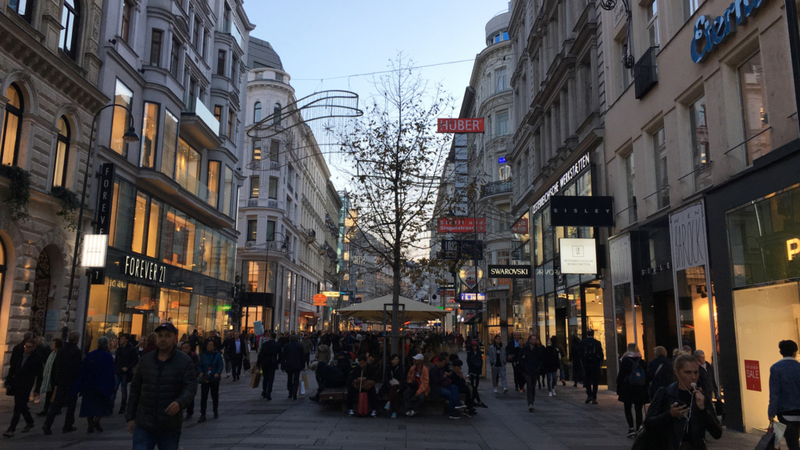 I arrived in Vienna, Austria, in early November 2018 on business and would be in town for most of a week. It was a long-enough trip to really get the lay of the land, and to seek out some hidden gems in the dining department. Vienna’s Neo-Gothic city hall (Wiener Rathaus) is an icon of the cityscape. 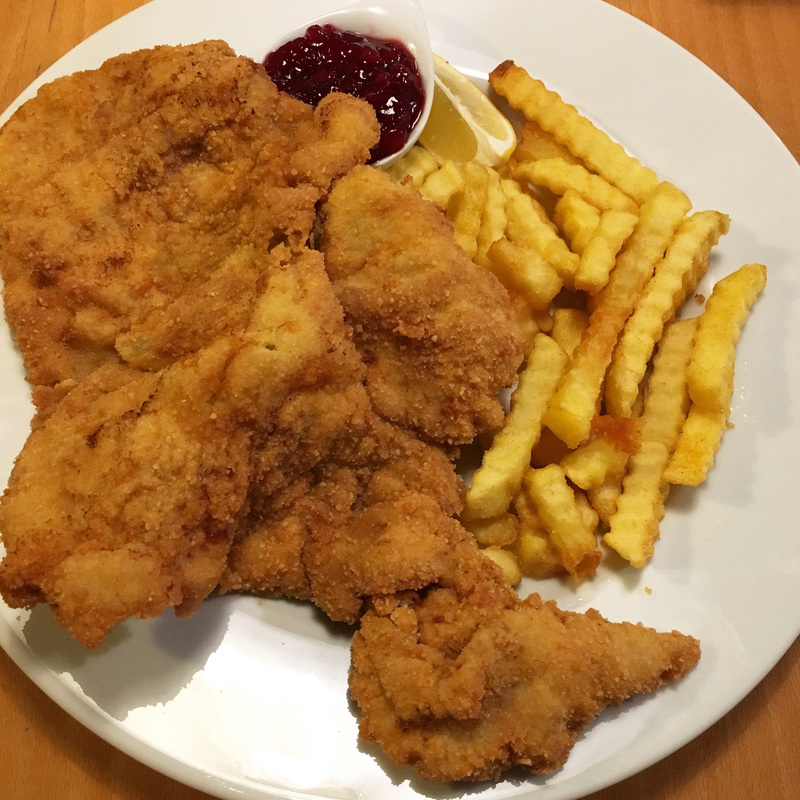 Admittedly, I didn’t know what to expect from the city’s gluten-free restaurant scene, but I did know this: I needed to find at least one descent Wiener schnitzel, the national dish of Austria. 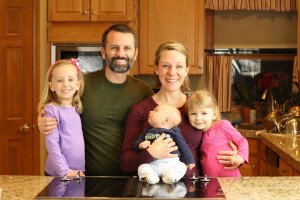 It wasn’t immediately clear exactly how easy—or difficult—it would be to achieve my goal. Wiener schnitzel is breaded and fried, so it’s not anywhere close to naturally gluten-free, and making a proper GF version that’s also free of cross-contamination would take some real care on the part of any restaurant offering a GF version of the national dish. Traditionally made from veal, these days you can also commonly find it made from pork and sometimes turkey. Some restaurants even offer your choice of meat, which is then pounded into a huge, thin portion that’s breaded and flash fried. As the orders come in and tickets are sent back to the kitchen during dinner service, the sound of the pounding often drifts out into the dining room, letting diners know that Wiener schnitzel is soon coming. 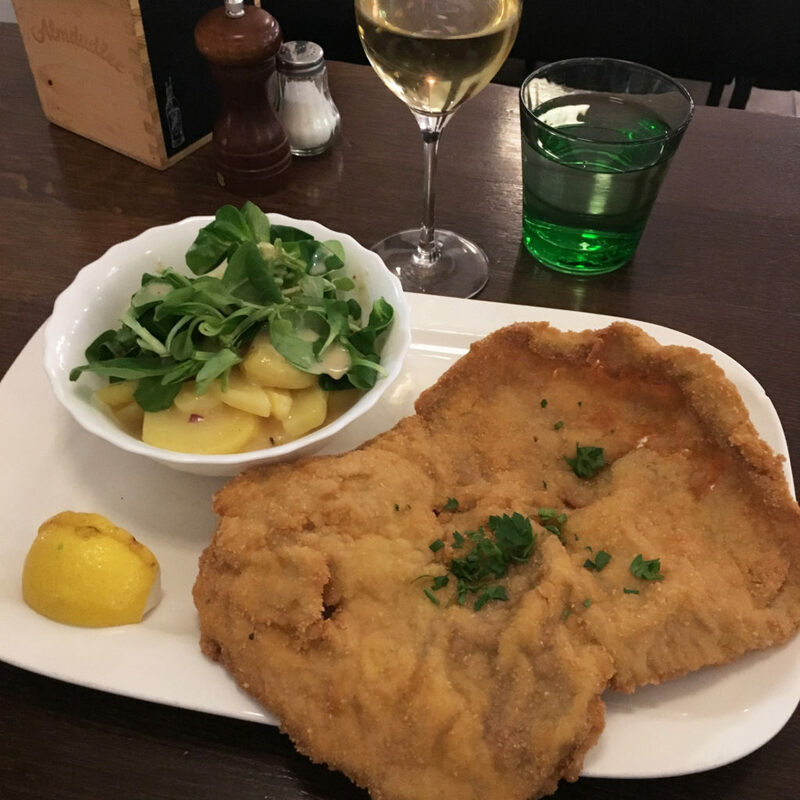 To my delight, Vienna proved to not only offer many options for gluten-free dining, but also multiple options for gluten-free Wiener schnitzel in particular. Many were highly reviewed by celiac travelers, which buoyed my hopes of trying Austria’s national dish while also not getting sick and thus sabotaging my business trip. Restaurant Führich, located near Vienna’s State Opera House, offers extensive GF options on its menu. 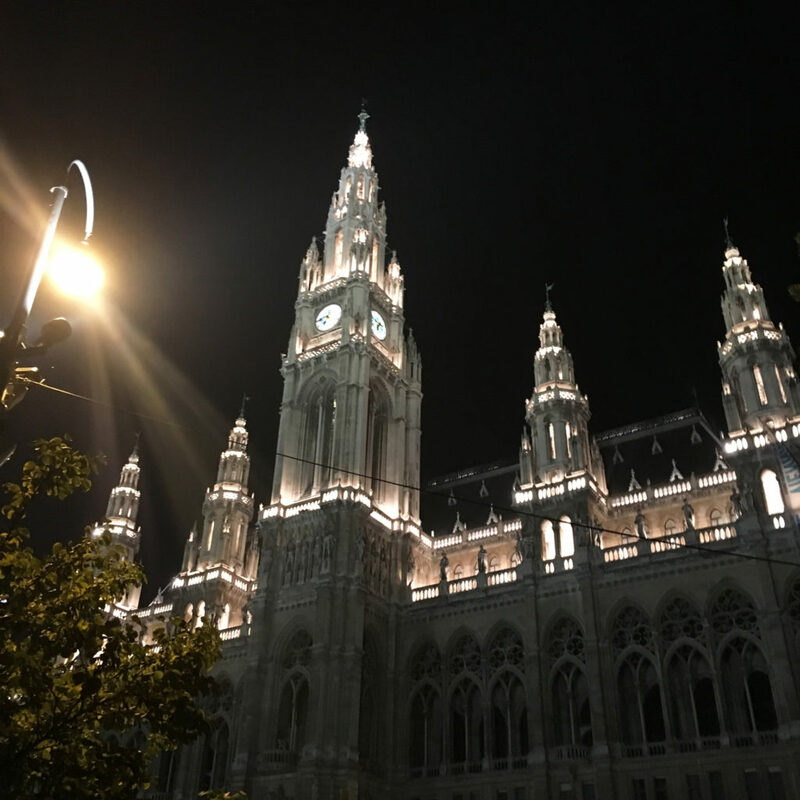 I started my Viennese culinary tour at Restaurant Führich, around the corner from Vienna’s famous State Opera House and other landmarks, including a 19th-century palace-turned-museum. 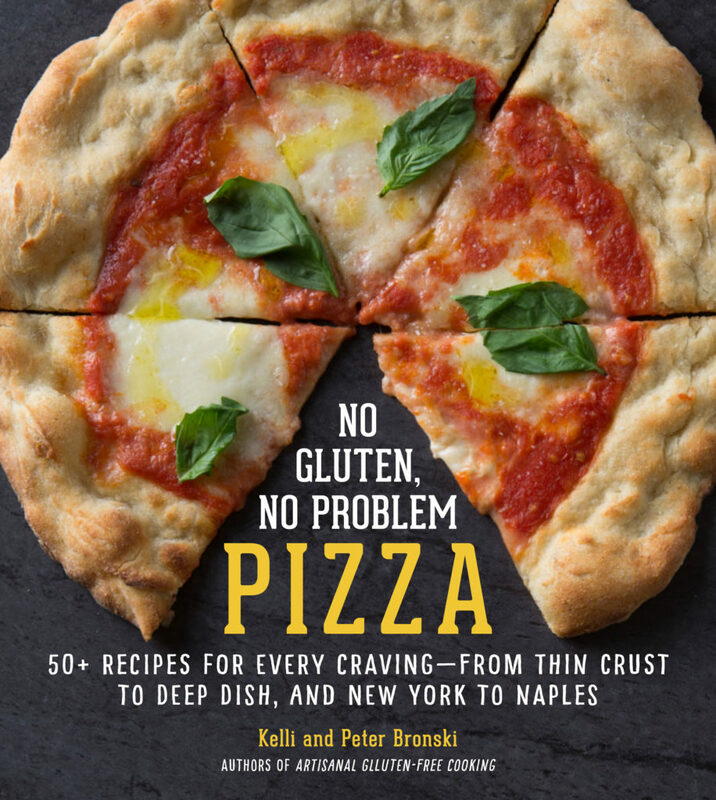 Führich’s menu boasts extensive GF offerings, including many dishes that are gluten-free as prepared and equally as many that can be prepared gluten-free upon request. That list includes—you guessed it—Wiener schnitzel (two ways: pork or veal), as well as a delicious bratwurst. Next in my sights was Gasthaus Zum Wohl, which is a dedicated gluten-free restaurant! 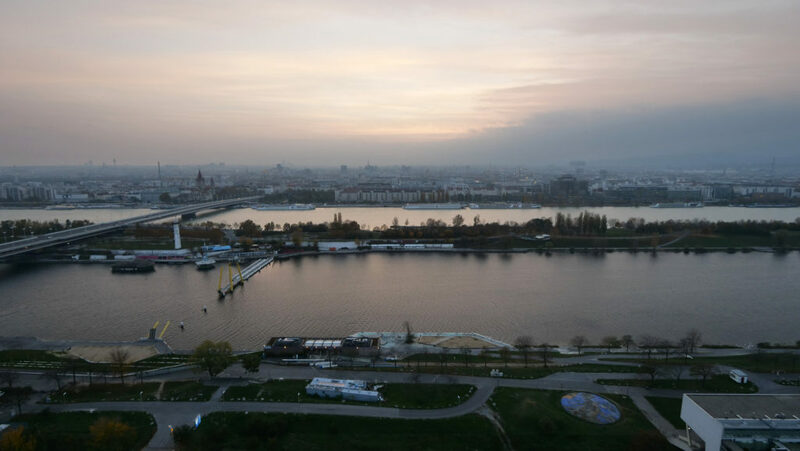 From my hotel in Vienna’s Leopoldstadt district, I boarded the city’s clean, efficient subway at the Praterstern station and made my way through—or, more technically, under—the city’s historical core and toward the Westbahnhof train station. From there it was a short, easy stroll to the Gasthaus. The Wiener schnitzel at Gasthaus Zum Wohl was massive—and utterly delicious. When the schnitzel arrived, its sheer size was intimidating. It was as big as the plate itself! Impressively, it was not at all greasy, despite being a fried dish. It disappeared surprisingly quickly. I had no trouble gobbling the entire thing without feeling too full. The veal was thin and tender, the GF breading browned and crispy, and well-adhered to the meat. What a delight to sit down at a 100% gluten-free (and lactose-free) restaurant where the entire menu was fair game, from dumplings to pasta to chocolate cake! Of course, I’d come on a specific mission: to try the Wiener schnitzel. I was not disappointed. A further delight of the meal was the accompanying potato salad. The potatoes were tender, and dressed in a bright vinaigrette. And those greens atop the potatoes… wonderful! They’re feldsalat, also known as German field salad greens in English. All I can say is: we need more feldsalat here in the United States. Vienna wonderfully blends Old World charm with contemporary, modern elements. The final stop on my Viennese tour-de-Wiener schnitzel was Gasthaus Nestroy. Like Restaurant Führich, it wasn’t a dedicated gluten-free restaurant, but it offered an extensive GF menu—including a highly regarded Wiener schnitzel—and from reviews I’d read online and in GF restaurant apps, it did a commendable job taking steps to minimize cross-contamination risks. I made my way to the restaurant alone one night, and stepped into its cozy confines of low ceilings, rough exposed wooden beams, and a friendly bartender. I’d arrived toward the beginning of dinner service, and only a few other patrons were seated inside when I took my place in a small booth. I placed my order, and minutes later, heard the thwack thwack from the kitchen of my schnitzel being pounded thin. The Wiener schnitzel lived up to its reputation. Similarly massive like that of Zum Wohl, and also like that experience, I had no problem polishing off the entire plate’s worth of meat. Plus, an expected treat was the small portion of cranberry relish that accompanied the schnitzel. I could easily see Nestroy’s cranberry relish taking the place of our own at the dinner table during American Thanksgiving. It was that good. The Wiener schnitzel at Gasthaus Nestroy. As my week in Vienna came too-soon to a close, I had the contented feeling of a mission accomplished. I’d found and sampled and utterly enjoyed the city’s gluten-free Wiener schnitzel. On the morning of my departure, I walked to the train station where I quite conveniently checked my luggage. Then I boarded the CAT—Vienna’s City Airport Train—which whisks you nonstop from downtown to the airport in an easy, breezy 16 minutes. As the Austrian countryside hurtled by, I gazed out the window knowing that we needed to create our own recipe for Wiener schnitzel, so we could continue to enjoy Austria’s esteemed national dish back home in Colorado. We’re happy to say, here it is: our recipe for traditional Wiener schnitzel. So glad to see so many gluten free choices in Vienna, I must plan a return trip to try some out! And there are more options beyond these three highlights. 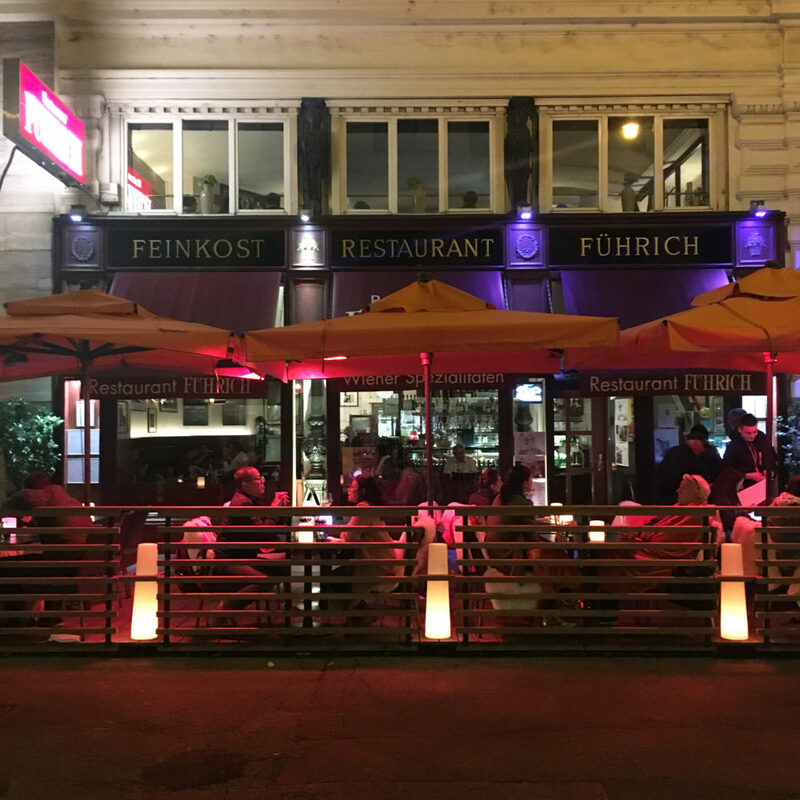 I was pleasantly surprised just how friendly Vienna proved to be for GF dining options. Wonderful!